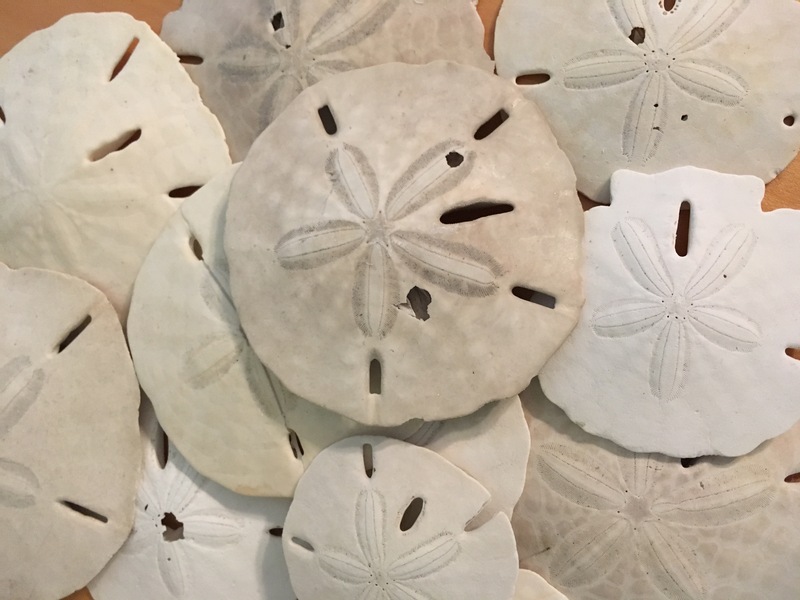 Beautiful pile of sand dollars. Found in this lovely shell. 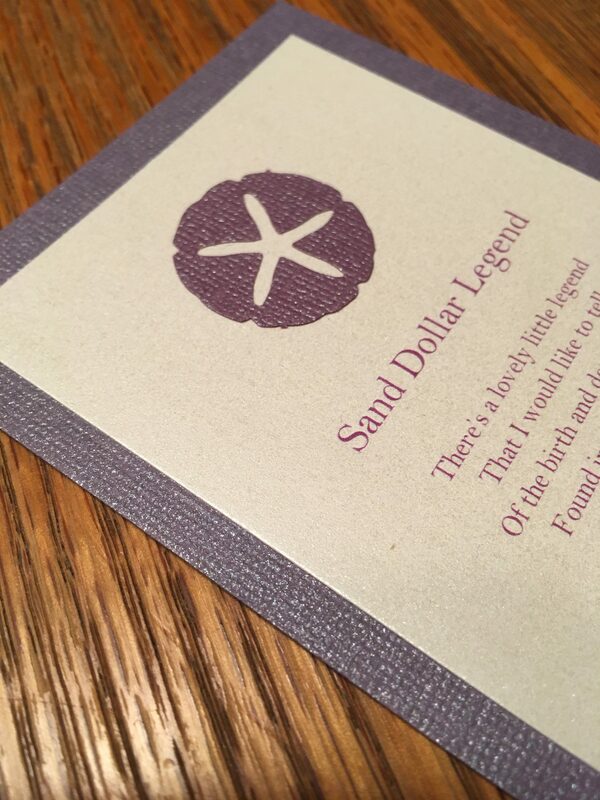 Bookmarks made from the Sand Dollar Legend poem. Above is a photo of the bookmarks that we made for the wedding. I got a hole punch from Michael’s Crafts (it’s a Martha Stewart item), that makes a cutout of a sand dollar (or starfish, depending on your view). We glued it onto sparkly paper stock, also purchased at Michael’s. A little hot glue and we were in business. They are so pretty in person.